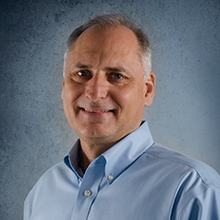 FSF Manufacturing | Jim AmRhein Jr.
Jim graduated from the University of Florida in 1985 with a Bachelor of Science Degree in Electrical Engineering. Jim worked at Lockheed Martin for ten years prior to joining FSF Manufacturing, Inc. in 1995 as a Manufacturing Engineer. With 20 years experience in the industry, Jim is now Vice President handling new product development, improved production methods, and is responsible for directing compliance with NSF International and UL (Underwriters Laboratories).